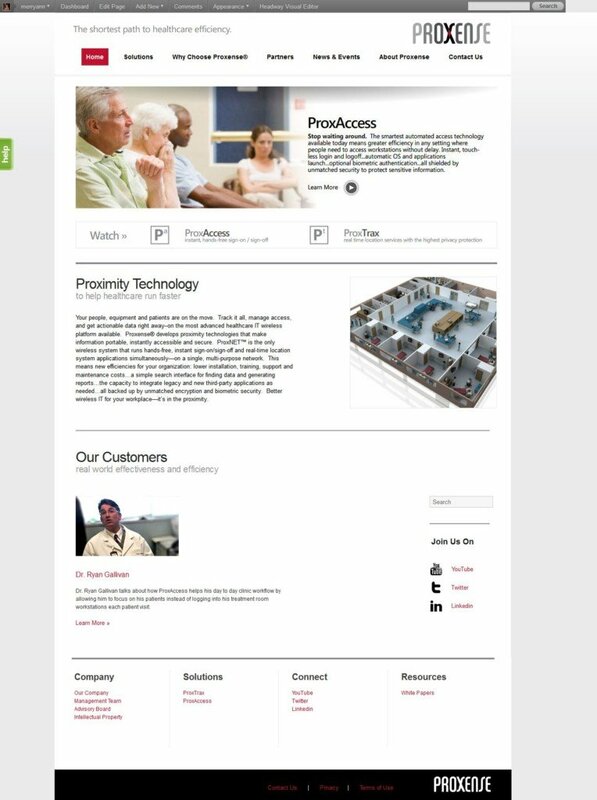 provides software and hardware for both real-time tracking of equipment and people, and access control to workstations. Merry Ann worked with the startup on a range of digital marketing and PR efforts for lead generation and visibility. Merry Ann interviewed execs, the sales team, and prospective and current clients to develop a one-page message platform, defining brand personality, audiences, tagline, Vision and Elevator Statements and SEO keyword phrases. To improve readability, generate sales leads, and better appeal to multiple audiences, Merry Ann developed new content around the primary marketing messages and keyword phrases. Navigation was revised to lead visitors through a hierarchy from general to more technical information. 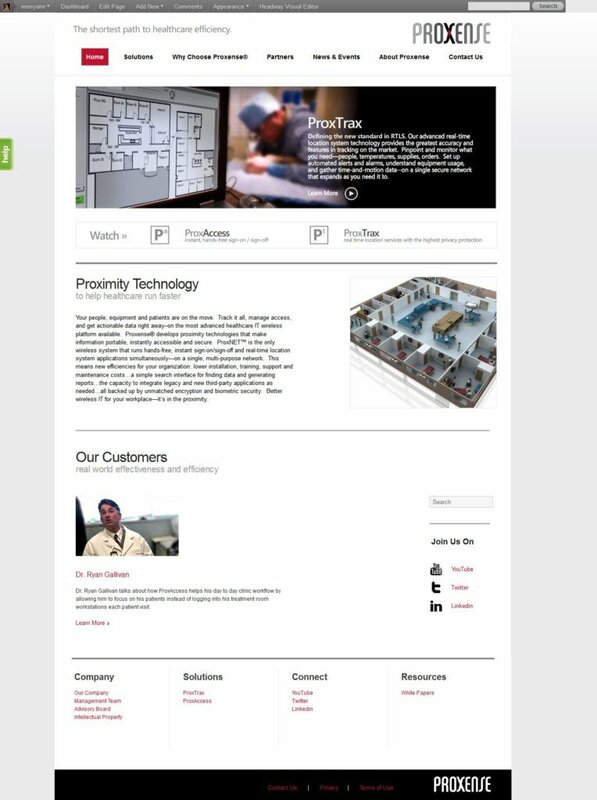 Multiple calls-to-action were added, along with more video, an XML sitemap and some link-building for SEO. New stock images were selected to better tell the company’s story. An influencers list of 400+ broadcast/print/digital media journalists, Tweeple, LinkedIn Groups, bloggers and business associations with a focus on the healthcare and technology industries was generated. A content campaign integrating email, press release and media outreach, social and LinkedIn SEM was created to boost website traffic and support sales efforts. A white paper drove respondents to a new landing page on the Proxense website, capturing sales leads in exchange for downloads. An opt-in autoresponder added a follow-up sales touch. A LinkedIn pay-per-click ad campaign targeting C-suite healthcare decision-makers and physicians was integrated into the effort, along with multiple Tweets from two accounts. To raise the company’s profile in online discussions about healthcare IT, Merry Ann connected with and monitored over one dozen LinkedIn Groups, commenting, providing sales people with leads and pitching Proxense content. Website visits for the one-month period during the white paper promotion achieved 4.32 pages per visit, 4:47 minutes average time on site, and 63% new visitors. 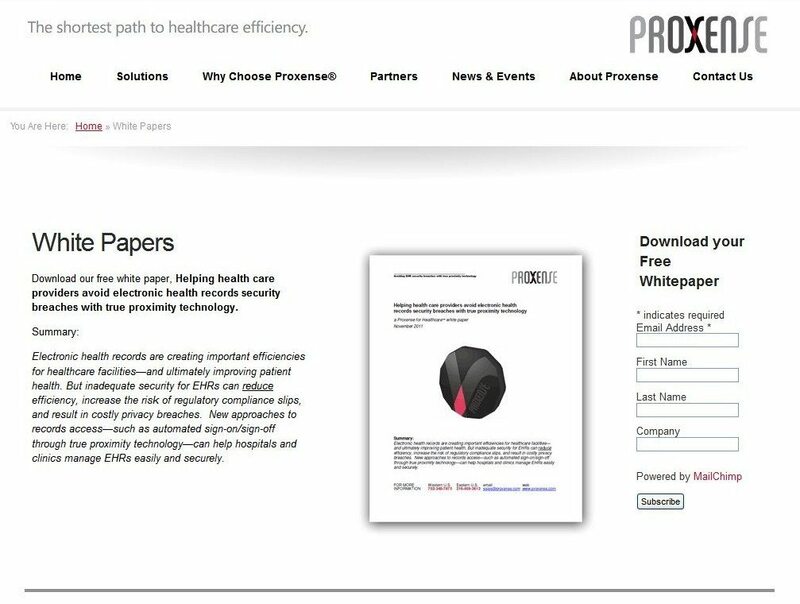 The white paper press release was picked up by more than a dozen digital publications in the healthcare IT space, with over 500 reads, 284,000 headline impressions, and significant Twitter and LinkedIn word-of-mouth. 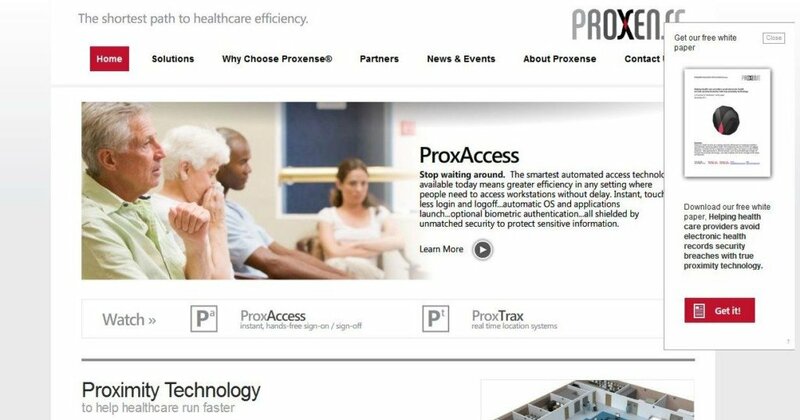 Proxense, a tech startup serving healthcare with wireless solutions, hired Merry Ann to build buzz and generate sales leads. Merry Ann collaborated with the sales team and senior management to create strategic messaging, run content marketing projects and conduct outreach.